Khusboo Sharma is 12 years old and belongs to a poor family from Gopalpura village from Thanagazi Block in Alwar District in Rajasthan. She is in class 7. She has 3 younger sisters and an elder brother. Her father is a farmer and works in a sweet shop as well. This bright girl is actively participating in all social activities conducted by Bachpan Bachao Andolan such as rallies, Street Plays, Meetings with the community etc. Her decent nature is being appreciated both in school and her locale. She is strong enough to raise her voice against any discrimination and violence that occurs in her surroundings. Khusboo currently holds the position of secretary in Bal Panchayat (Children’s council). There has been a drastic change in her since she became Secretary in September, 2015. She became confident and emerged as a leader and motivates others as well. She is disciplined and always the first one to arrive at school along with her friends and cleans the school area. She also motivates her sisters and the whole community to keep the village clean. She inspires her peers and raises issues in Gram Panchayat. She has also developed a keen interest in General Knowledge and wants to upkeep with all the latest happenings in the village and in India as well. 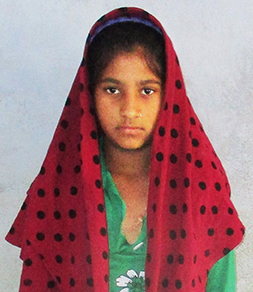 It had been a dream for Kavita Verma (17 years) to support her bother in his toil to support the family. Her ten member family was living on his meager income as her father passed away. She belongs to Barwada village of Rajasthan. She had to stop education after 12th due to the poor family income. She came to know about the vocational training in Bal Ashram through the staff and immediately joined. At the centre she learnt beautician work and undergone the training between April and July. 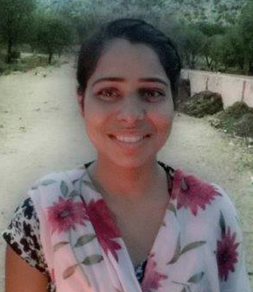 The training at the centre was the turning point in Kavita’ life. After the training, she started working from home. Any marriage ceremony that takes place in and around the village, Kavita is the one who helps the bride or the bridegroom to get ready for the marriage with make- up and dressing. Since there is no salon in the village, girls come to Kavita for all types of haircut. Kavita not only helps her brother but pays for her sibling’s education., Now, she is financially independent, and earning which is almost equal to her family income by the other member. She wants to open her own parlor in the village someday and wants to work after marriage also. It never rains but it pours they say. That's exactly what happened for 10 year-old Ramesh Kumar, and for him the flood of troubles took three long years to recede. A charming boy with a disarming smile, he was born into a family of bonded labourers who would toil day and night at a brick kiln in Sitamarhi district of Bihar. He landed up in the 'family business' when he was just eight years old. Carrying bricks was too much for Ramesh's little hands, but had no choice, for months until one day in 2013 when an activist of Bachpan Bachao Andolan (BBA) rescued him. The BBA activist brought thedistraught boy to Bal Ashram – a long stay rehabilitation home for rescued child labourers in Jaipur –where he was taken care of and his belief in happiness grew. At the Ashram, it was like all the misery had vanished away; but little did the boy know what fate had in store. Eight months later after being rescued, Ramesh went home hoping his parents would let him go to school. They didn't. “My parents beat me up when I insisted on going to school,” he says, cheerful, choosing not to let his thoughts travel back to the tragic days. Ramesh was back to square one - slavery. But eventually the kiln had to shut and the family were free.However, out of job and in need of money, Ramesh's father forced him to work at a local restaurant for the monthly 600 rupees. There, the little boy cooked food and washed all the utensils for twelve hours a day,but again only until one decisive day. That day, Ramesh and his colleagues were thrashed by their 'employer' for a silly mistake. Fed up of the pain and anguish, he took it upon himself to break the bonds of torture, believing he had had enough. At night he ran away. He hid behind bushes on the way, and in the dead of the darkness took a journey towards a new dawn. With the little money he had, Ramesh purchased a train ticket to Jaipur and reached Bal Ashram once again. There, he was welcomed with open arms again and now, many moths later, the boy is cheerful again. Ramesh has ever since participated in many functions organised in and outside Bal Ashram. Once, he felt elated after entering a huge auditorium for some programme. “It was the first time I went to such a place. I had never even thought there will be something like this,” he said. His dream is to be a school teacher one day. Nothing special about it, except when the ambition is of a 13-year-old boy who knows that nothing ever comes easy. In fact, for Ghanshyam Singh, the freedom to be able to have a goal itself is something precious. And there are reasons. The boy knows what he had lost, almost forever, three years ago, when they dragged him out of school into the darkness of child labour. The eldest among four siblings, Ghanshyam was the only son of his father, a labourer in a stone quarry inPushkar district of Rajasthan. His father would cut down personal expenses so that his children could go to school. But then misfortune never comes alone - Ghanshyam's father met with an accident at work. His grandfather told the boy, still basking in the innocent blithe of childhood, that the burden of running the family now lay on his little shoulders. Then only 11-years-old and a student of class 6, Ghanshyam was forced to work in an eatery where he would start early morning making tea and flatbread. Customers kept him busy during the day and in the evening he would wash the dishes. All along, Ghanshyam's salary was Rs 7 ($ 0.1) a day. The misery continued for around two months, the cruel days longer than years, before Gunjal, an activist of the Bachpan Bachao Andolan, rescued him. That was the advent of Ghanshyam's new dawn, the first path towards freedom, never having to look back. Gunjal brought the boy to Bal Ashram, BBA's long-term rehabilitation centre in Viratnagar, Jaipur. Initially, it was difficult for Ghanshyam to crawl out of gloom cast by the torment of child labour. But today, after more than two years of stay at the Ashram, the young lad is shining bright. He has become active and takes part in cultural programmes organised in the rehab home. Just a few months after his arrival in the Ashram, Ghanshyam took part in a march against Child Labor in Assam state. Now, Ghanshyam is a student of class 7. He secured 61% in the exams. Once, during a competition to mark the children's day in Don Bosco, Delhi, Ghanshyam danced in front of High Court judges. It was fun watching him swing, dressed up like a Rajasthani girl. Amid the whirls and twirls, one could feel that the days of misery will never cast their evil shadow again on Ghanshyam.